A woman, Mrs. Abigail Brown, has been arrested for kidnapping her two children to get ransom from her husband in Rivers state. Brown and her husband’s former driver, identified simply as ThankGod, were said to have kidnapped Abigail’s two children and called the husband to pay a ransom to secure their release. She told PUNCH Metro that it was frustration that made her to commit the crime, adding that she had no means of survival. She claimed that her husband had abandoned her and the two children to suffer, adding that the kidnap was the only means of making some money from her husband. It was gathered that the suspect had abducted her two children, aged two and 10 respectively, and hid them in her sister’s place. 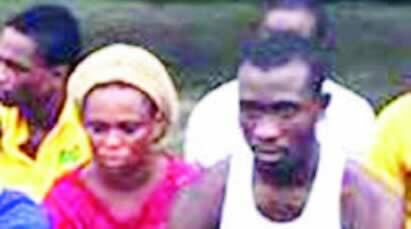 It was learnt that the suspect had demanded N6m as ransom to secure the release of the two children. ThankGod, the former driver to the woman’s husband, who accepted taking part in the act, said his former boss’ wife contacted him. ThankGod said, “She called me to help her. She told me to take the two children to her sister’s place. That is how I got involved.